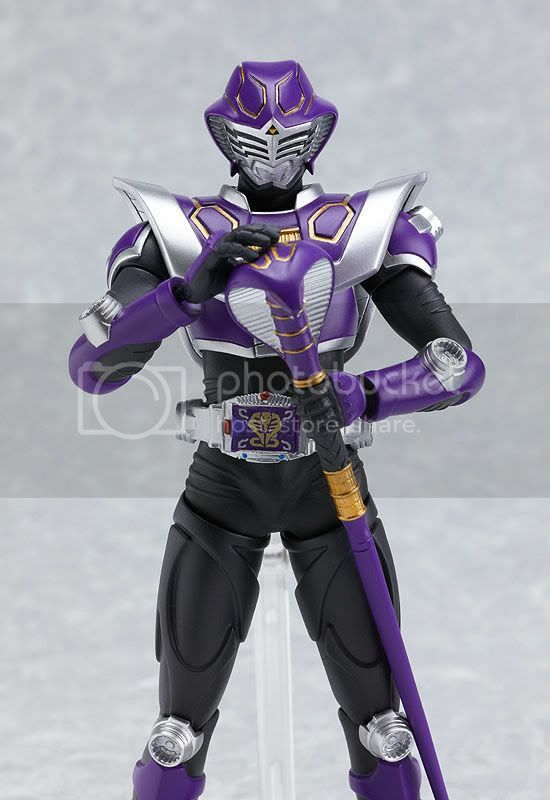 Max Factory is going to release the Figma SP-023: Kamen Rider Strike action figure from American TV series Kamen Rider Dragon Knight. 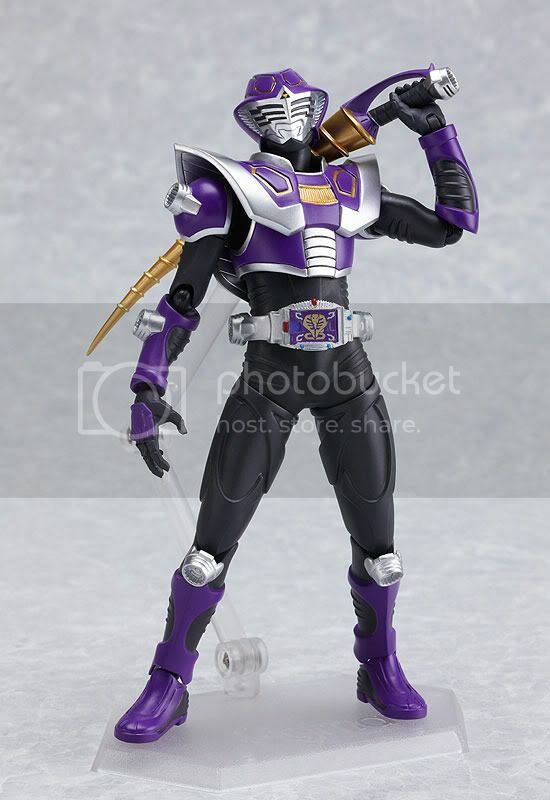 This figure is approximately 140mm in height and will be released in February 2011 around 2,857 yen. 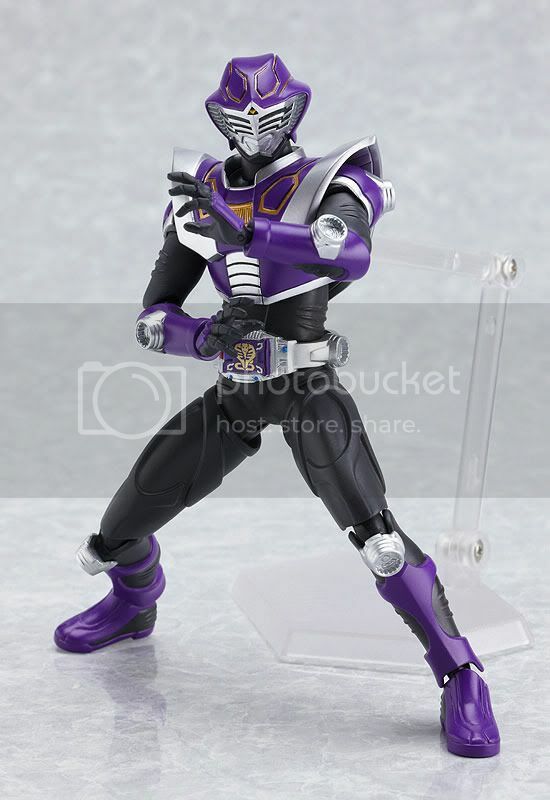 Here comes a figma of Kamen Rider Strike, the Kamen Rider who fights alongside the evil General Xaviax. 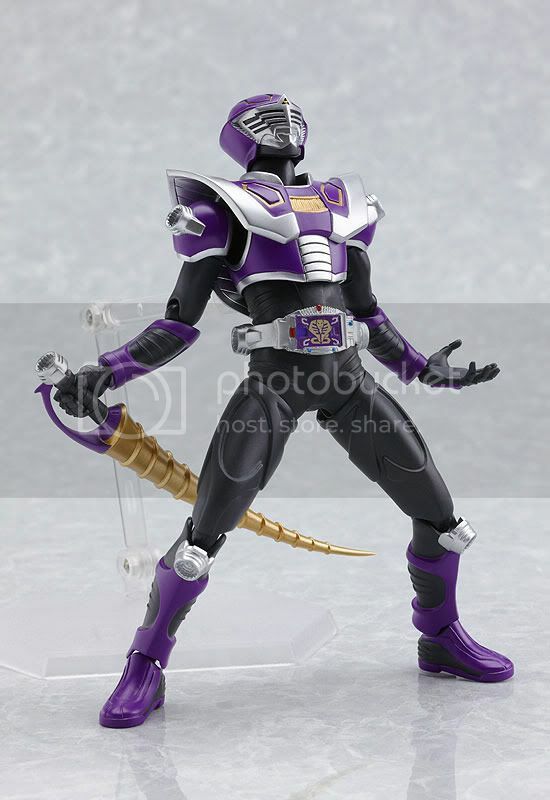 It seems that Max Factory has a plan to released the whole riders from the Dragon Knight series. I really like how they made the riders design. It's more accurate & sharp than Kamen Riders from the Bandai's SHF series. 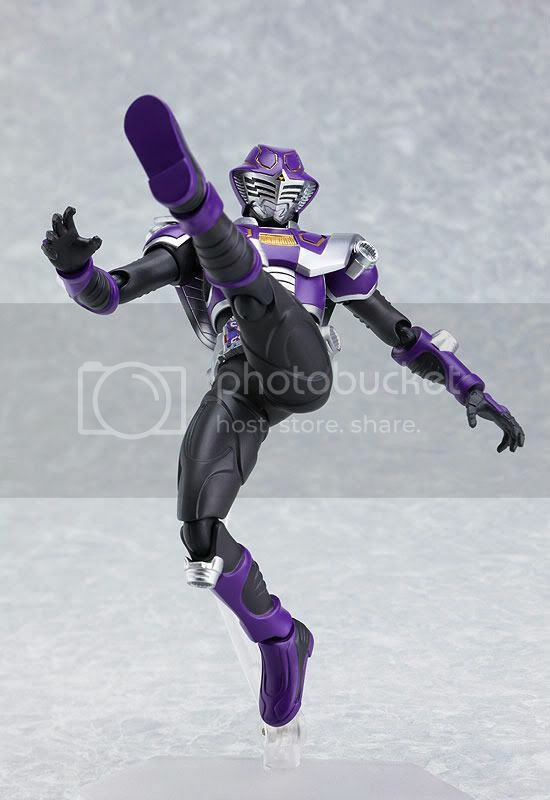 This Kamen Rider Strike looks awesome. 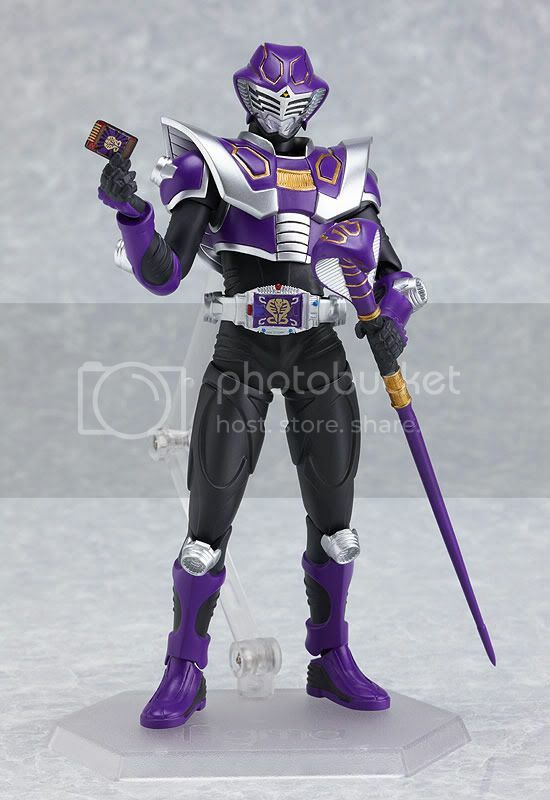 His cobra-like scepter as well as his spiral sword: Sword Vent are both included, allowing you to recreate the cunning Kamen Rider Strike in battle.